Be mesmerized by the intense flavour of this cake. 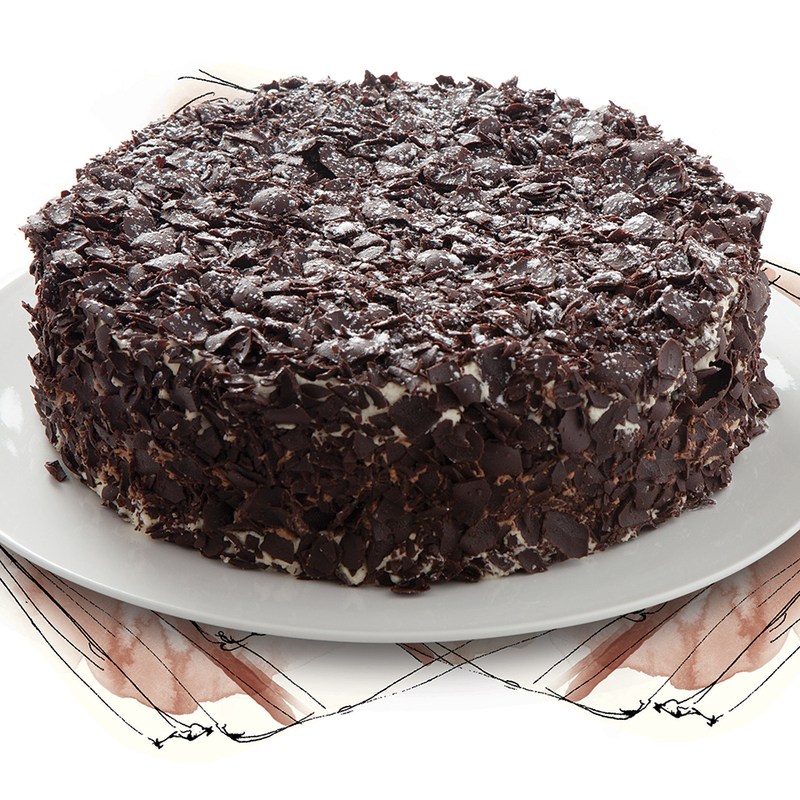 Chocolate flakes are sprinkled over a chocolate almond sponge cake soaked in kirsch. Add layers of chocolate mousse with dark and brandied cherries within and get ready for a deluge of your senses.